Week 1 challenges in Fortnite’s sixth season has been data mined, though it is still possible that it might change. 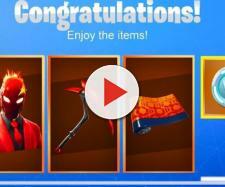 Season 6 of “Fortnite” is officially live as it introduced a plethora of new cosmetics in the game. Pretty much everything has been leaked by several data miners including week one’s set of challenges. Sudanym (@@sud4nym) is just one of the “Fortnite” leakers who rolled out the new stuff Season 6 has to offer. As mentioned, he also data mined the first set of challenges for this season. The data miner’s followers noticed that the challenges are pretty much easy albeit the fact that three of these were deemed to be difficult. Be reminded, however, that these challenges could be just a draft and are likely to change. Meanwhile, Epic Games recently took to FortniteBR subreddit to announce that they are aware of some players getting an error message while trying to buy V-bucks or their delivery got delayed. At the time of writing, both the error message on PlayStation 4 and the V-bucks delivery delay were already fixed. There are some players, though, who claim to have been charged multiple times on their credit cards. That said, the developer referred them to their support team to help them out with those erroneous charges. The game maker also stated that they are aware of the issue in Xbox One where the game is either crashing or freezing. Another concern that was addressed by Epic is the console’s instant edit button. Someone from the same subreddit stated that they do appreciate the feature on home consoles. However, the Redditor suggested that it would be better if both the edit and confirm button would be the same. The developer responded that they’ll be checking such pitch. Patch notes for Update V6.00 were also rolled out alongside Season 6’s release as it detailed some of the new stuff that got introduced. One of which is the consumable known as the Shadow Stones. Typically found around corrupted areas of the map, these stones allow players to become invisible whenever they are stationary. However, players are unable to use their weapons. Pets were also introduced this season. These are animals that serve as the players’ Back Bling and companion in the game. Three were already revealed by the time Season 6 went live, and it is expected that more of them will be added later on.